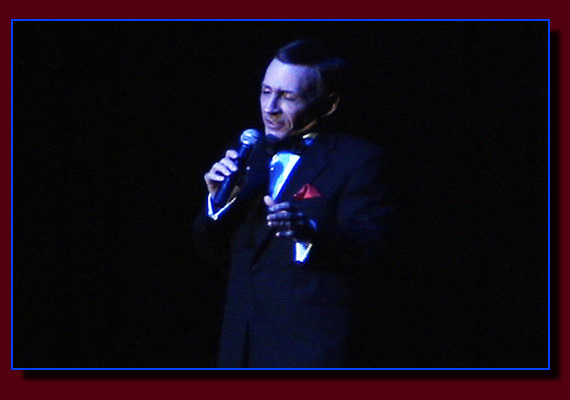 See and hear this Frank Sinatra Impersonator performing. Use the player below for audio samples. 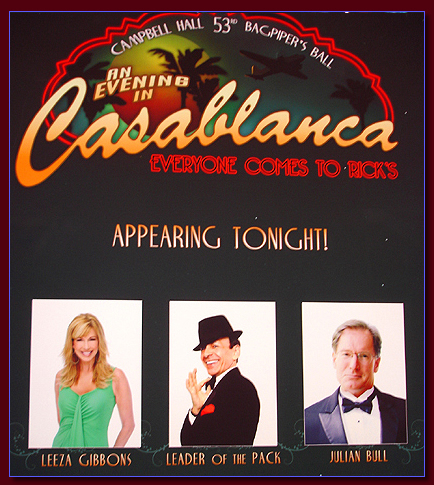 Thank you to Robbie and Fran Blumenfeld and everyone at Campbell Hall School, Studio City CA for inviting me to perform for the second year in a row at the Campbell Hall Bagpiper's Ball at Universal Studios, Hollywood. In Kent’s words: On December 10th, 1978, I married my wonderful, talented wife Ruth Buzzi, who worked with Sinatra on many TV shows, including The Dean Martin Roasts, where you know Ruth as Laugh-In's purse-wielding Gladys, who belted everyone on the Dais. Ruth and Frank became friends, so I was wondering when I’d get to meet him, but while Ruthie and I dated, Frank was always somewhere else. Anyway, on our wedding day in Las Vegas, singer Anne Murray hosted a party for us at the MGM Grand and invited every celebrity in Las Vegas. There was Cher, Lola Falana, Wayne Newton, and, the biggest thrill for everyone, Mr. S. He walked in and even that jaded crowd came to a hush, every eye following him as he took a seat with his buddy, Jilly Rizzo. I asked Ruthie if she would introduce me to Frank, and she said, “Relax. You’ll meet him". A waiter brought a bottle of Chivas Regal to Frank and Jilly and put three glasses down. Then Jilly came over and said “Mr. Sinatra would like you to join him for a drink.” Ruthie said “See? I told you.” I walked over to the table and waited while Jilly told a joke to Frank. Before the joke was finished, Sinatra looked up and said, “Kent Perkins?” I said, “Yes.” He said “Pour yourself a drink, and I’ll be with you in a minute.” He slid the bottle in my direction and moved his penetrating blue eyes back to Jilly. Jilly finished the joke, Frank laughed and turned to me as I was choking down the stiffest drink I’d ever tasted. He said “Kent, I just want to tell you that the gal you married is like a daughter to me and I expect you to take good care of her. Understand?” I said, “Yes, Sir.” Frank said “Then we’ll always be friends”. He lifted his glass to mine, and we nodded at each other. Every time I saw Mr. Sinatra after that night in Las Vegas, he always asked “Are you taking good care of my girl?” I always said, “Yes, Sir.” Well, that meeting got Ruthie and me through a lot, because after that, I never even thought about doing anything that would bring down upon me the wrath and fury of the Chairman of the Board.